A 10-15 percent decrease in normalized permeate flow. A 10-15 percent decrease in normalized permeate quality. 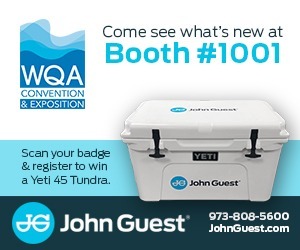 A 10-15 percent increase in normalized pressure drop, as measured between the feed and concentrate headers. In the event you do not normalize your operating data, the above values still apply if you do not have major changes in critical operating parameters. The operating parameters that have to stay constant are permeate flow, permeate back-pressure, recovery, temperature and feed TDS. 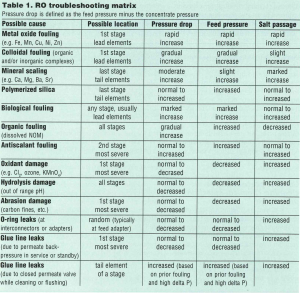 If these operating parameters fluctuate, then it is highly recommended that you normalize the data to determine if fouling is occurring or if the RO is actually operating normally based on the change in a critical operating parameter. Monitoring overall plant performance on a regular basis is an essential step in recognizing when membrane elements are becoming fouled. Performance is affected progressively and in varying degrees, depending on the nature of the foulants. Table 1 provides a summary of the expected effects that common foulants have on performance. 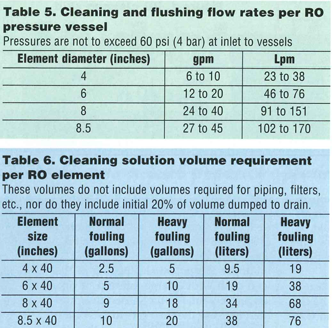 RO cleaning frequency due to fouling will vary by site. A rough rule of thumb as to an acceptable cleaning frequency is once every three to 12 months. 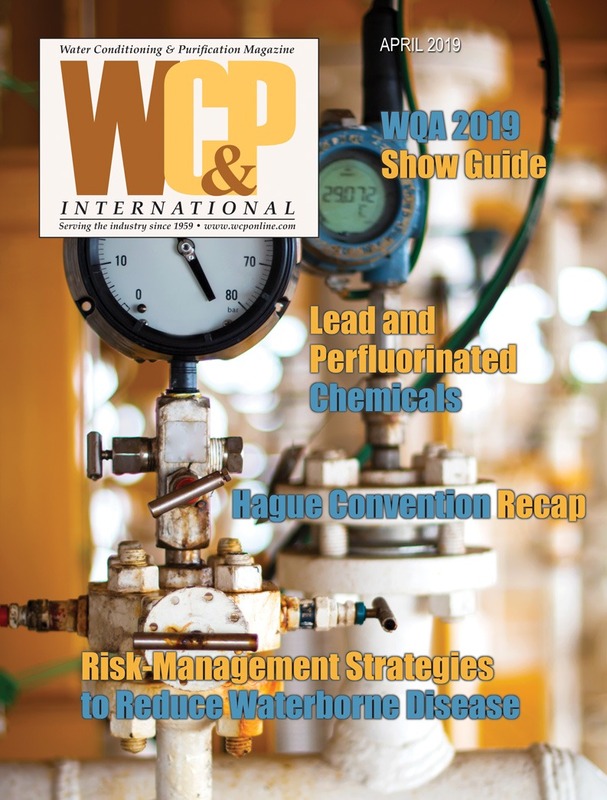 If you have to clean more than once a month, you should be able to justify further capital expenditures for improved RO pretreatment or a re-design of the RO operation. 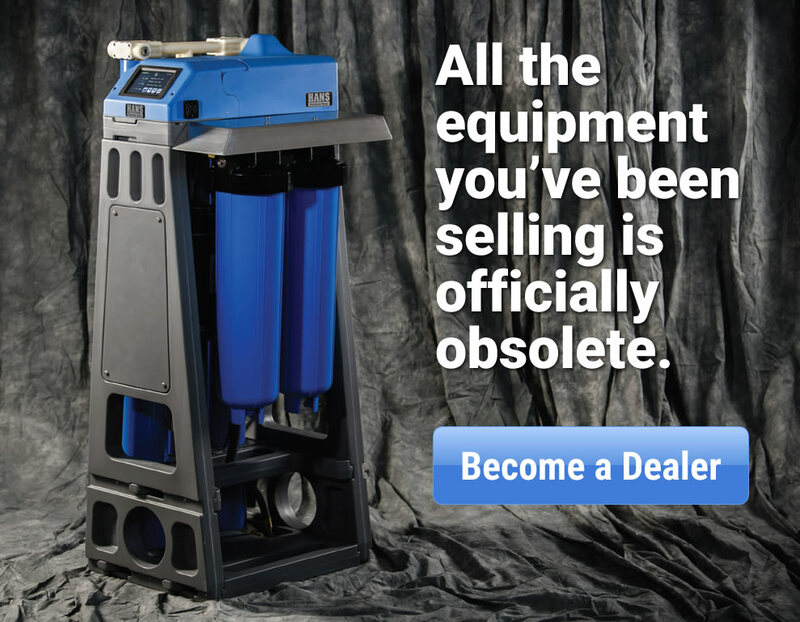 If the cleaning frequency is every one to three months, you may want to focus on improving the operation of your existing equipment but further capital expenditure may be harder to justify. It is important to clean the membranes when they are only lightly fouled (not wait until they are heavily fouled). Heavy fouling can impair the effectiveness of the cleaning chemical by impeding the penetration of the chemical deep into the foulant and in the flushing of the foulant out of the elements. 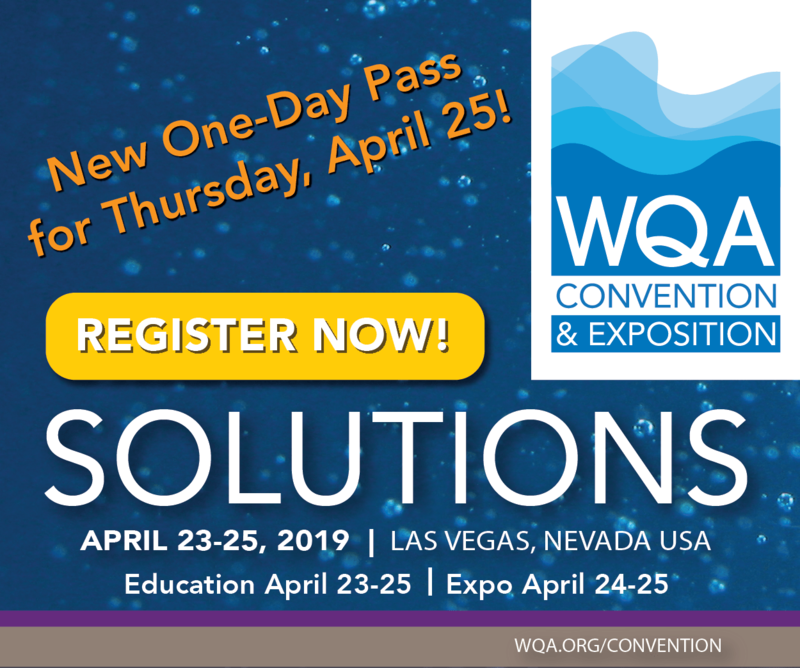 If normalized membrane performance drops more than 30 percent, it may be impossible to fully restore the performance back to baseline conditions. One RO design feature that is commonly overlooked in reducing RO cleaning frequency is the use of RO permeate water for flushing foulants from the system. Soaking the RO elements during standby with permeate can help dissolve scale and loosen precipitates, reducing the frequency of chemical cleaning. What you clean for can vary depending on the foulant. Complicating the situation frequently is that more than one foulant can be present, which explains why cleanings frequently require a low pH and high pH cleaning regiment. Calcium carbonate is a mineral scale and may be deposited from almost any feedwater if there is a failure in the antiscalant/dispersant addition system or in the acid injection pH control system that results in a high feedwater pH. An early detection of the resulting calcium carbonate scaling is absolutely essential to prevent the damage that crystals can cause on the active membrane layers. Calcium carbonate scale that has been detected early can be removed by lowering the feedwater pH to between 3.0 and 5.0 for one or two hours. Longer resident accumulations of calcium carbonate scale can be removed by a low pH cleaning with a citric acid solution. Sulfate scale is a much ‘harder’ mineral scale than calcium carbonate and is harder to remove. Sulfate scale may be deposited if there is a failure in the antiscalant/dispersant feed system or if there is an over feed of sulfuric acid in pH adjustment. Early detection of the resulting sulfate scaling is absolutely essential to prevent the damage that crystals can cause on the active membrane layers. Barium and strontium sulfate scales are particularly difficult to remove as they are insoluble in almost all cleaning solutions, so special care should be taken to prevent their formation. This scale is particularly common in municipal waste waters and polluted water supplies which may contain high levels of phosphate. 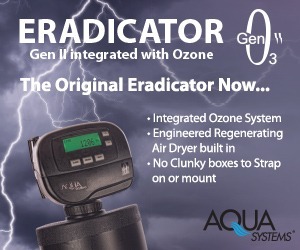 This scale can generally be removed with acidic pH cleaners. As a rule of thumb, contact the RO manufacturer’s technical department if phosphate levels in the feed are five ppm or higher. Typical metal oxide and metal hydroxide foulants are iron, zinc, manganese, copper, aluminum, etc. 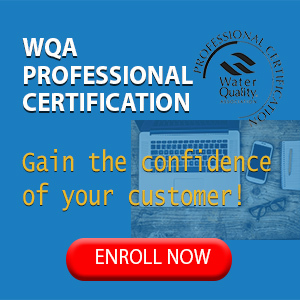 They can be the result of corrosion products from unlined pipes and tanks or result from the oxidation of the soluble metal ion with air, chlorine, ozone, potassium permanganate or they can be the result of a pretreatment filter system upset that utilizes iron or aluminum-based coagulant aids. A silica gel coating resulting from the super-saturation and polymerization of soluble silica can be very difficult to remove. It should be noted that this type of silica fouling is different from silica-based colloidal foulants, which may be associated with either metal hydroxides or organic matter. Silica scale can be very difficult to remove by traditional chemical cleaning methods. Contact the manufacturer’s technical department if the traditional methods are unsuccessful. There does exist harsher cleaning chemicals, like ammonium biflouride, that have been used successfully at some sites but are considered rather hazardous to handle and can damage equipment. Colloids are inorganic or mixed inorganic/organic based particles that are suspended in water and will not settle out due to gravity. Colloidal matter typically contains one or more of the following major components: iron, aluminum, silica, sulfur or organic matter. 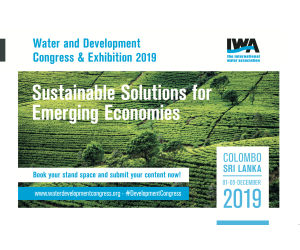 The sources of dissolved natural organic matter (NOM) foulants are typically derived from the decomposition of vegetative material into surface waters or shallow wells. The chemistry of organic foulants is very complex, with the major organic components being either humic acid or fulvic acid. Dissolved NOMs can quickly foul RO membranes by being absorbed onto the membrane surface. Once absorption has occurred, then a slower fouling process of gel or cake formation starts. It should be noted that the mechanism of fouling with dissolved NOM should not be confused with the mechanism of fouling created by NOM organic material that is bound up with colloidal particles. Organic-based deposits resulting from bacterial slimes, fungi, molds, etc. can be difficult to remove, particularly if the feed path is plugged, which makes it difficult to introduce and distribute the cleaning solutions. To inhibit additional growth, it is important to clean and sanitize not only the RO system, but also the pretreatment, piping, dead-legs, etc. The membranes, once chemically cleaned, will require the use of a manufacturer-approved biocide and an extended exposure requirement to be effective. There are a number of factors involved in the selection of a suitable cleaning chemical (or chemicals) and proper cleaning protocol. The first time you have to perform a cleaning, it is recommended to contact the manufacturer of the equipment, the RO element manufacturer or an RO specialty chemical and service supplier. Once the suspected foulant(s) are identified, one or more cleaning chemicals will be recommended. Cleaning chemical(s) can be generic or can be private-labeled proprietary chemicals. Typically, the generic chemicals can be of technical grades and are available from local chemical supply companies. The proprietary RO cleaning chemicals can be more expensive, but may be easier to use and you cannot rule out the advantage of the intellectual knowledge supplied by these companies. By testing at their facility, some independent RO service companies can determine the proper chemicals and cleaning protocol for your situation from a fouled element pulled from your system. It is not unusual to use a number of different cleaning chemicals in a specific sequence to achieve the optimum cleaning. Typically, a low pH cleaning is used first to remove foulants like mineral scale, followed by a high pH cleaning to remove organic material. There are times that a high pH cleaning is used first to remove foulants like oil or biological matter, followed by a low pH cleaning. Some cleaning solutions have detergents added to aid in the removal of heavy biological and organic debris, while others have a chelating agent like EDTA added to aid in the removal of colloidal material, organic and biological material and sulfate scale. An important thing to remember is that the improper selection of a cleaning chemical or the sequence of chemical introduction can make the foulant worse. If you are using generic chemicals, make sure the chemical has been qualified for use with your membrane. Use the least-harsh cleaning regiment to get the job done. This includes the cleaning parameters of pH, temperature and contact time. This will optimize the useful life of the membrane. Clean at the recommended target temperatures to optimize cleaning efficiency and membrane life. Use the minimal amount of chemical contact time to optimize membrane life. Be prudent in the adjustment of pH at the low and high pH range to extend the useful life of the membrane. A ‘gentle’ pH range is 4-10, while the harshest is 2-12. 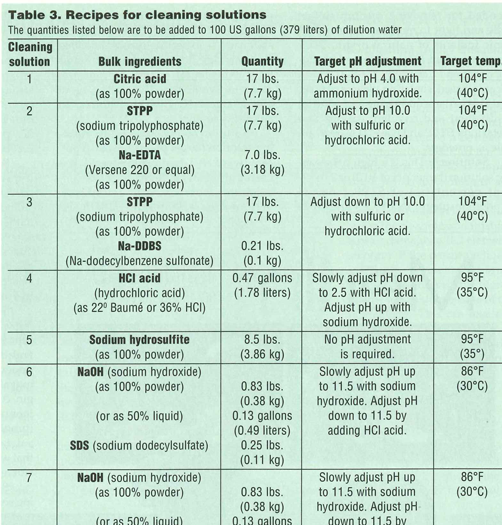 Typically, the most effective clean-up sequence is low pH followed by high pH solutions. One known exception is that oil-fouled membranes should not use a low pH clean-up first as the oil will congeal. Cleaning and flushing flows should be in the same direction as the normal feed flow to avoid potential telescoping and element damage. When cleaning a multi-stage RO, the most effective cleaning is one stage at a time so cleaning flow velocities can be optimized and foulants from upstream stages don’t have to pass through down-stream stages. Flushing out detergents with higher pH permeate can reduce foaming problems. Verify that proper disposal requirements for the cleaning solution are followed. If your system has been fouled biologically, you may want to consider the extra step of introducing a sanitizing biocide chemical after a successful cleaning. Biocides can be introduced immediately after cleaning, periodically (e.g. once a week) or continuously during service. You must be sure that the biocide is compatible with the membrane, does not create any health risks, is effective in controlling biological activity and is not cost prohibitive. For safety reasons, make sure all hoses and piping can handle the temperatures, pressures and pHs encountered during a cleaning. For safety reasons, always add chemicals slowly to an agitated batch of make-up water. For safety reason, always wear safety glasses and protective gear when working with chemicals. For safety reasons, don’t mix acids with caustics. 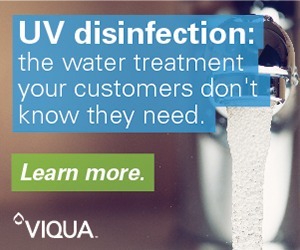 Thoroughly rinse the 1st cleaning solution from the RO system before introducing the next solution. 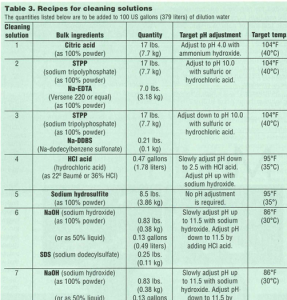 Table 2 lists the recommended generic chemical solutions for cleaning an RO membrane element based on the foulant to be removed. Important: It is recommended that the MSDS of the cleaning chemicals be procured from the chemical supplier and that all safety precautions be utilized in the handling and storage of all chemicals. 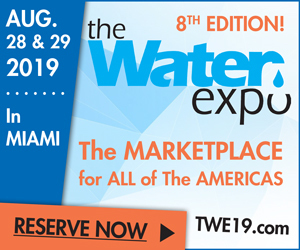 Table 3 offers instructions on the volumes of bulk chemical to be added to 100 US gallons (379 liters) of make-up water. Prepare the solutions by proportioning the amount of chemicals to the amount of make-up water to be used. 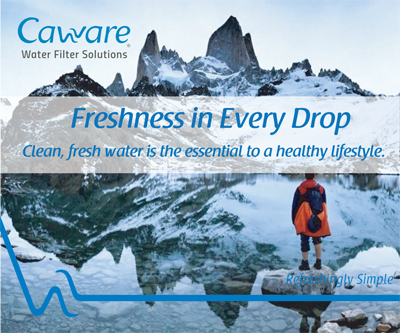 Make-up water quality should be of RO permeate or deionized (DI) quality and be free of chlorine and hardness. Before forwarding the cleaning solution to the membranes, it is important to thoroughly mix it, adjust the pH according to the target pH and stabilize the temperature at the target temperature. Unless otherwise instructed, the cleaning design parameters are based on a chemical recirculation flow period of one hour and an optional chemical soak period of one hour. Table 4 highlights the maximum pH and temperature limits for specific membranes, after which irreparable membrane damage can occur. A suggested minimum temperature limit is 70°F (21°C), but cleaning effectiveness and the solubility of the cleaning chemical is significantly improved at higher temperatures. Note: The notation (w) below denotes that the diluted chemical solution strength is based on the actual weight of the 100 percent pure chemical or active ingredient. Solution 1: This is a low pH cleaning solution (target pH of 4.0) of 2.0 percent (w) citric acid (C6H8O7). It is useful in removing inorganic scale (e.g. calcium carbonate, calcium sulfate, barium sulfate, strontium sulfate) and metal oxides/hydroxides (e.g. iron, manganese, nickel, copper, zinc) and inorganic-based colloidal material. Note: Citric acid has chelating properties that function better when an upward pH adjustment is performed using ammonium hydroxide. Sodium hydroxide should not be used for pH adjustment. Citric acid is available as a powder. Solution 2: This is a high pH cleaning solution (target pH of 10.0) of 2.0 percent (w) of STPP (sodium tripolyphosphate) (Na5P3O10) and 0.8 percent (w) of Na-EDTA (sodium salt of ethylamine-diaminetetraacetic acid). It is specifically recommended for removing calcium sulfate scale and light to moderate levels of organic foulants of natural origin. STPP functions as an inorganic-based chelating agent and detergent. Na-EDTA is an organic-based chelating cleaning agent that aids in the sequestering and removal of divalent and trivalent cations and metal ions. STPP and Na-EDTA are available as powders. Solution 3: This is a high pH cleaning solution (target pH of 10.0) of 2.0 percent percent (w) of STPP (sodium tripolyphosphate) (Na5P3O10) and 0.025 percent (w) Na-DDBS (C6H5(CH2)12-SO3Na) (sodium salt of dodecylbenzene sulfonate). It is specifically recommended for removing heavier levels of organic foulants of natural origin. STPP functions as an inorganic-based chelating agent and detergent. Na-DDBS functions as an anionic detergent. Solution 4: This is a low pH cleaning solution (target pH of 2.5) of 0.5 percent (w) of HCl (hydrochloric) acid. It is useful in removing inorganic scale (e.g. calcium carbonate, calcium sulfate, barium sulfate, strontium sulfate and metal oxides/hydroxides (e.g. iron, manganese, nickel, copper, zinc) and inorganic-based colloidal material. This cleaning solution is considered to be harsher than Solution 1. HCl acid, a strong mineral acid, is also known as muriatic acid. HCl acid is available in a number of concentrations: (180 Baumé = 27.9 percent), (200 Baumé = 31.4 percent), (220 Baumé = 36.0 percent). Solution 5: This is a high pH cleaning solution (target pH of 11.5) of 1.0 percent (w) of Na2S2O4 (sodium hydrosulfite). It is useful in the removal of metal oxides and hydroxides and to a lesser extent calcium sulfate, barium sulfate and strontium sulfate. Sodium hydrosulfite is strong reducing agent and is also known as sodium dithionite. Sodium hydrosulfite is available as a powder. Solution 6: This is a high pH cleaning solution (target pH of 11.5) of 0.1 percent (w) of NaOH (sodium hydroxide) and 0.03 percent (w) of SDS (sodium dodecylsulfate). It is useful in the removal of organic foulants of natural origin, colloidal foulants of mixed organic/inorganic origin and biological material (fungi, mold, slimes and biofilm). SDS is a detergent that is an anionic surfactant that will cause some foaming. This is considered to be a harsh cleaning regiment. Solution 7: This is a high pH cleaning solution (target pH of 11.5) of 0.1 percent (w) of NaOH (sodium hydroxide). It is useful in the removal of polymerized silica. This is considered to be a harsh cleaning regiment. Important: It is recommended that the MSDS of the cleaning chemicals be procured from the chemical supplier and that all safety precautions be utilized in the handling and storage of all chemicals. RO cleaning tank: This tank needs to be sized properly to accommodate the displacement of water in the hose, piping and RO elements. 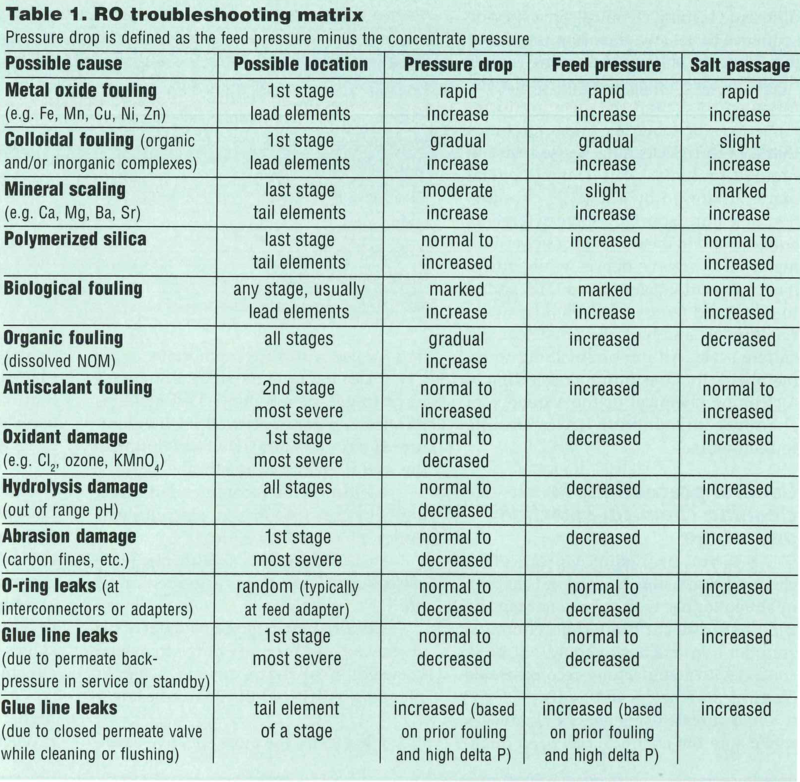 Table 5 denotes the amount of chemical solution that needs to be made for a single RO element. 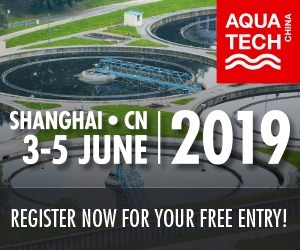 The tank should be designed to allow 100 percent drainage, easy access for chemical introduction and mixing, a recirculation line from the RO cleaning pump, proper venting, overflow and a return line located near the bottom to minimize foam formation when using a surfactant. RO cleaning pump: This pump needs to be sized to develop the proper cross-flow velocity to scrub the membrane clean. The maximum recommended pressure is 60 psi (4 bar) at the inlet to the pressure vessels to minimize the production of permeate during cleaning and reduce the convective redeposition of foulant back on to the membrane surface. Table 5 denotes the flow rate ranges for each pressure vessel. RO cleaning cartridge filter: Normally, 5- to 10-micron and is designed to remove foulants that have been displaced from the cleaning process. RO tank heater: Designed to heat teh cleaning solution to the correct temperature, it should be noted that heat is generated and imparted by the RO cleaning pump during recirculation. RO tank mixer: This is recommended to get optimal mixing of chemical, though some designers rely solely on the slow introduction of chemical while maintaining a recirculation through the RO cleaning pump back to the tank. Instrumentation: Cleaning system instrumentation should be included to monitor flow, temperature, pressure and tank level. 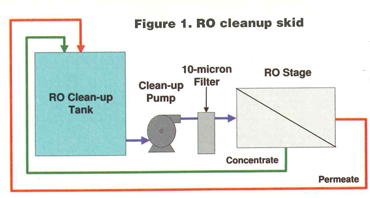 Sample points: Sample valves should be located to allow pH and TDS measurements of the RO cleaning pump discharge and the concentrate side recirculation return line. Permeate return line: A small amount of the cleaning solution can permeate through the membranes and so a permeate-side return line back to the RO cleaning tank is required. Important: The permeate line and any permeate valves must always be open to atmospheric pressure during the cleaning and flushing steps or damage to RO elements can occur. If the permeate line is closed, the permeate pressure can build up and become higher than the feed-side pressure of the tail elements. This can result in excessive permeate back-pressure which can damage the membrane glue lines in the tail elements. Perform a low-pressure flush at 60 psi (4 bar) or less of the pressure vessels by pumping clean water from the cleaning tank (or equivalent source) through the pressure vessels to drain for several minutes. Flush water should be clean water of RO permeate or DI quality and be free of hardness, transition metals and chlorine. Mix a fresh batch of the selected cleaning solution in the cleaning tank. The dilution water should be clean water, as noted above. The temperature and pH should be adjusted to their target levels. Circulate the cleaning solution through the pressure tubes for approximately one hour or the desired period of time. At the start, send the displaced water to drain so you don’t dilute the cleaning chemical and then divert up to 20 percent of the most highly fouled cleaning solution to drain before returning the cleaning solution back to the RO cleaning tank. For the first five minutes, slowly throttle the flow rate to 1/3 of the maximum design flow rate. This is to minimize the potential plugging of the feed path with a large amount of dislodged foulant. For the second five minutes, increase the flow rate to 2/3 of the maximum design flow rate and then increase the flow rate to the maximum design flow rate. If required, readjust the pH back to the target when it changes more than 0.5 pH units. 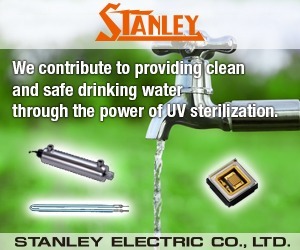 An optional soak and recirculation sequence can be used, if required. The soak time can be from one to eight hours depending on the manufacturer’s recommendations. Caution should be used to maintain the proper temperature and pH. Also note that this does increase the chemical exposure time of the membrane. Upon completion of the chemical cleaning steps, a low pressure cleaning rinse with clean water, as noted previously, is required to remove all traces of chemical from the cleaning skid and the RO skid. Drain and flush the cleaning tank; then completely refill the cleaning tank with clean water for the cleaning rinse. Rinse the pressure vessels by pumping all of the rinse water from the cleaning tank through the vessels to drain. A second cleaning can be started at this point, if required. 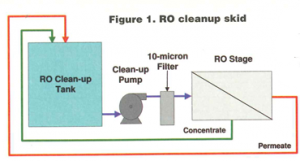 Once the RO system is fully rinsed of cleaning chemical with clean water from the cleaning tank, a final low pressure clean-up flush can be performed using pretreated feed water. The permeate line should remain open to drain. Feed pressure should be less than 60 psi (4 bar). This final flush continues until the flush water flows clean and is free of any foam or residues of cleaning agents. This usually takes 15 to 60 minutes. The operator can sample the flush water going to the drain for detergent removal and lack of foaming by using a clear flask and shaking it. A conductivity meter can be used to test for removal of cleaning chemicals, such that the flush water to drain is within 10-20 percent of the feed water conductivity. A pH meter can also be used to compare the flush water to drain to the feed pH. Once all the stages of a train are cleaned and the chemicals flushed out, the RO can be restarted and placed into a service rinse. The RO permeate should be diverted to drain until it meets the quality requirements of the process (e.g. conductivity, pH, etc.). It is not unusual for it to take from a few hours to a few days for the RO permeate quality to stabilize, especially after high pH cleanings. Kazuhito Kouno handles corporate communications and brand management for the Nitto Denko Corporation. Hydranautics, A Nitto Denko Company, is located at 401 Jones Road, Oceanside, CA 92054; telephone: (760) 901-2500; fax: (760) 901-2578; www.membranes.com or email info@hydranautics.com. Hydranautics offers a free normalization software program called ROData, which can be downloaded from their website.